Made from fast-growing bamboo and finished with bunches of dry rice plants, this organic dome near the forests of Katalom, Iran, was designed by Pouya Khazaeli Parsa. Inspired by one of his students who was struggling to make a dome model at university, this real-life shelter was used as a model to develop a resort in the area. Biodegradable, economical, and made from natural local materials, this sustainable shelter can also be raised in no time. 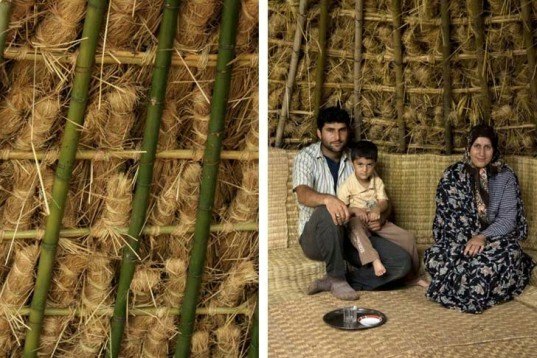 It takes three people two days to build this shelter, which is made from seventy bamboo canes. The base of the self-standing shelter was made from gas pipes from a local shop, ensuring the structure can be move to another location if required. The fast growing renewable plant is left to try for two days after it is cut in order to keep it flexible and soft. The dome’s bamboo structure was finished with bunches of dry rice plants that were found locally and are biodegradable and also weatherproof. When it rains the plants expand, keeping the shelter dry. When it is sunny and warm, breezes can blow through them to provide natural cooling and ventilation. Because of their shape, these domes can be pretty resistant to winds or earthquakes, making them highly cost-effective as emergency housing. 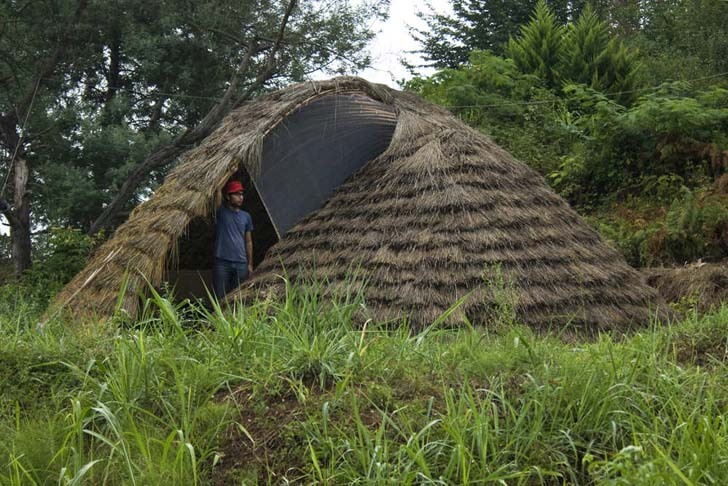 It takes three people two days to build this shelter, which is made from seventy bamboo canes. The base of the self-standing shelter was made from gas pipes from a local shop, ensuring the structure can be move to another location if required. The fast growing renewable plant is left to try for two days after it is cut in order to keep it flexible and soft. The dome's bamboo structure was finished with bunches of dry rice plants that were found locally and are biodegradable and also weatherproof. When it rains the plants expand, keeping the shelter dry. When it is sunny and warm, breezes can blow through them to provide natural cooling and ventilation. Because of their shape, these domes can be pretty resistant to winds or earthquakes, making them highly cost effective as emergency housing.